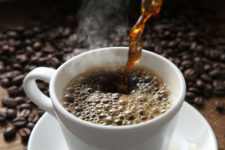 The World Health Organization's International Agency for Research on Cancer (IARC) says it doesn't know if coffee causes cancer or not, a switch from 1991 when the agency said it did. That is bad for people who want to trust IARC's recommendations -- because its reasons to reverse course on coffee are no more valid than its reason to have declared it possibly carcinogenic to humans (Group 2B) in the first place. And the coffee claims are no more valid than any other claims the agency has made about the hazards of common things. 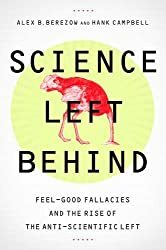 Two things they specifically disliked; we noted that the science did not show salt was causing heart disease, and we noted that the science did not show coffee was causing cancer. Therefore instead of being trusted guides for the public, they insisted we must be shills for Big Salt and Big Mocha. 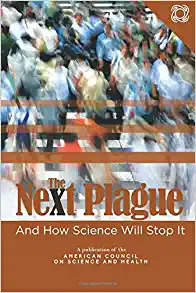 In this decade, IARC has been a lot more like CSPI than a genuine science body; it has been criticized for favoring epidemiology over toxicology. Why do that? Because if epidemiology studies are improperly weighted, it doesn't matter that a chemical is not toxic, IARC just finds studies cataloging people who got ill and were also exposed to that compound and the chemical can be declared a carcinogen by association. Epidemiology studies are a dream scenario for environmentalists, because they require no science (1). Why would a respected body embrace environmental fan fiction rather than its own legacy of legitimate work? It has to do with how environmental groups have played the long game, and how in at least one instance they placed a key person inside IARC who never disclosed his conflict of interest to the public. In recent years, IARC made two important changes: It won't allow people with corporate funding to meaningfully participate, and it got rid of gray literature. 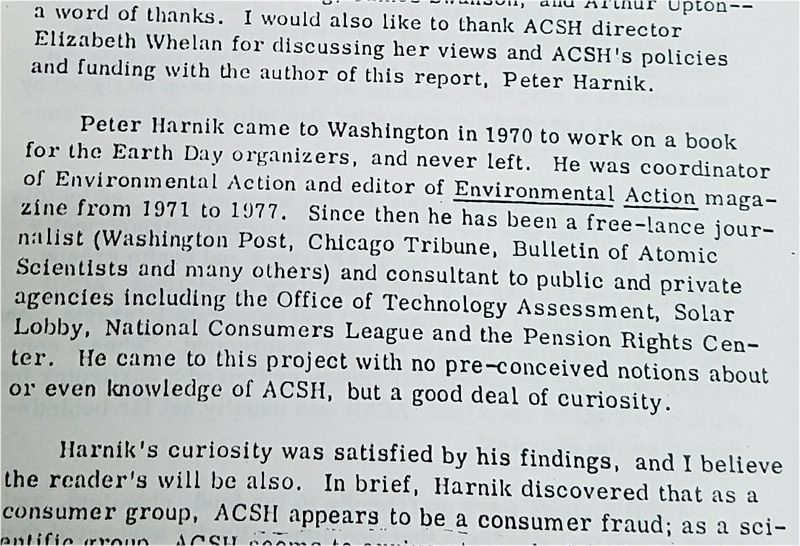 So a paid consultant for the Environmental Defense Fund is allowed to participate in a panel on glyphosate, made by Monsanto, even though the EDF lobbies against Monsanto, while an actual expert from Monsanto can't be on the panel. It's not just illogical, it's terrible for evidence-based decision-making. In the real world, applied science is corporate science. Corporations bring in the best academics to help with engineering and science decisions. Honestly, if you are in an applied science field and you have never consulted, you are simply not very respected. By banning anyone who has consulted because they are "industry funded," the only scholars left are the ones who are not in the top echelons in their fields. 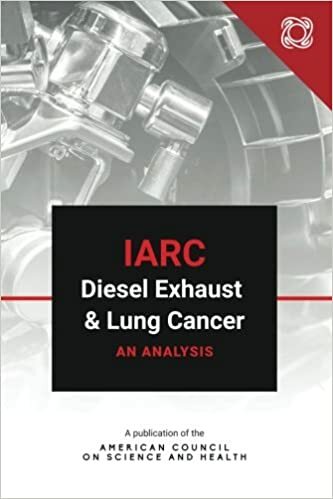 IARC's decision to no longer use gray literature (not published in peer-reviewed journals) seems innocent enough, except to scientists who know that corporations are required by law to pay for and conduct studies to demonstrate safety before a product can get approval. Corporations must pay to prove something is safe rather than just handing it to the government and telling taxpayers to pay to prove it isn't. If those studies are dismissed as industry-funded, even though they are the most rigorous, and experts are dismissed as industry funded, all we are left with are academics with free time, who invariably end up reviewing the papers they or a small circle of other academics were involved in. This lack of objectivity all but guarantees selection bias. Then, we have a problem with the use of epidemiology in modern times. 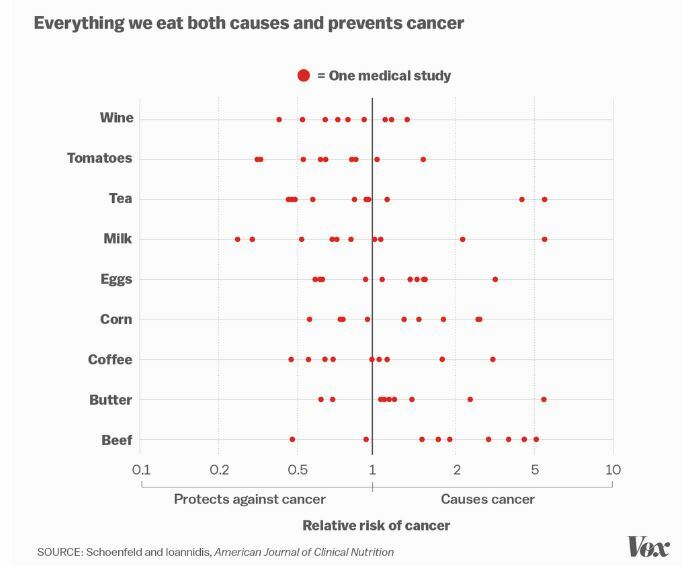 If reviewers who are on a committee due to selection bias are analyzing papers that are chosen with selection bias (diaries of what people ate cross-matched with what diseases they got), then it becomes easy to find a correlation between Food X and Cancer Y. Want to show corn causes cancer? Easy. Want to show corn prevents cancer? Also easy. Dr. John Ioannidis, a modern-day legend for injecting sanity into these discussions came up with this graph in the American Journal of Clinical Nutrition, reproduced here via Vox. As you can see, coffee, eggs, meat, they all both cause and prevent cancer. So, why is it a bad thing that IARC has found that coffee is not a carcinogen after telling us for 25 years it caused bladder cancer (2)? For the same reason it declared that "hot beverages" cause cancer. Their findings had little to do with actual science. IARC has gotten increasingly more cultural and less scientific. IARC uses words like "risk" all over the place, and then when its findings are criticized claims that it only calculates hazard and not risk. (3) Or it threatens you with U.N. legal action. The agency's findings on cell phones and cancer was shoddy (and other groups, trying to prove it true, looked even sillier). It's work on the common herbicide glyphosate (Roundup) was ridiculed by the U.S. EPA and the European Food Safety Association. Even IARC's bosses at the World Health Organisation said that the group was wrong. Finally, it declared that sausage was as hazardous to our health as plutonium. Meta-analyses are supposed to protect us from wacky 'Roundup causes cancer' claims by having standards for inclusion, thus eliminating studies that are outliers. Yet when there is selection bias on the part of the reviewers, selection bias in the papers, and an over-reliance on epidemiology, IARC can derive bizarre results, like if in an analysis of corn in the graphic above they weighted studies on the left more because they were by academics doing epidemiology. When the agency suddenly picks a compound that was considered to be carcinogenic in the past and then declares it safer — only the second compound ever to be reduced in hazard (4) — it looks odd, especially when we remember the committee received jeering, ridicule, and skepticism from the public about meat. Even politicians in California said that they were crazy. It looks like a public relations move. The $75 billion coffee market in America provided a great opportunity for the agency to try and look impartial again. IARC had little remaining credibility after its papers of the last few years, so increasing the hazard of coffee would have considerably increased skepticism about its motivations. Instead, it looks like the agency scrambled to do public relations containment ('we are not just scaremongers, we declared coffee safe') the same way Mother Jones might do a serious science article on occasion. IARC can then use that nod to reducing the hazard for something to argue their other findings shouldn't be dismissed. Even in reducing the hazard of coffee, IARC couldn't resist scaremongering a little. It declared that "very hot" beverages were possibly carcinogenic (cancer of the esophagus), but this was based on such weak epidemiological evidence that it will be a surprise if impartial scientists are not soon screaming about how the agency will undermine trust in science among the public. Why? Because although the risks for esophageal cancer are around 2.4 times higher if you drink very hot beverages — but that is 2.4 times a very minute number. The heartburn you get reading media accounts of IARC carcinogen papers is a much higher absolute risk for esophageal cancer. And how hot is "very hot"? They can't tell us, they only calculate hazard, not risk. (2) Or, like CSPI, claiming that coffee caused breast cancer and that we were shills for Big Coffee for showing that to be false. It is known universally to be false. What is the only thing it found to be probably safe? Caprolactam, which is used to make nylon, in 1999. The EPA had declared the chemical to be a pollutant under the U.S. Clean Air Act of 1990, only to have it removed in 1996.